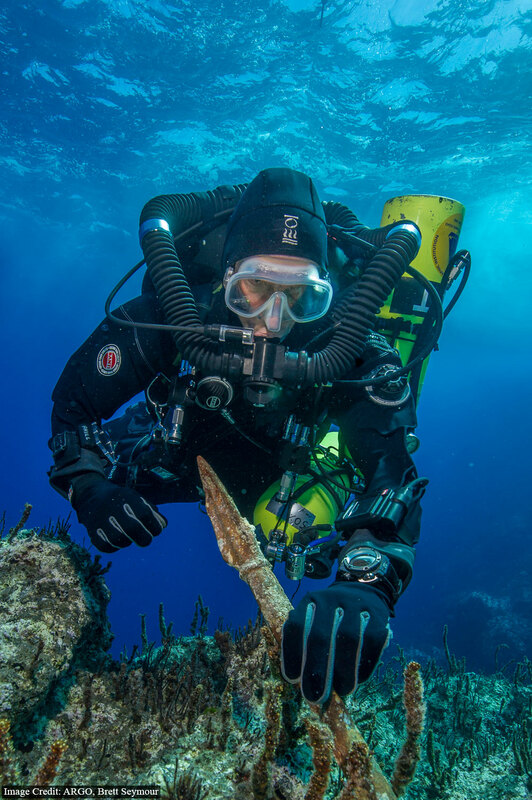 This weekend scientists, divers and support staff will begin to converge off the Greek Island of Antikythera to mount a technologically advanced excavation of an ancient wreck that in 1901 yielded an astonishing array of marble and bronze artworks along with coins and a navigational computer that continues to astound experts. 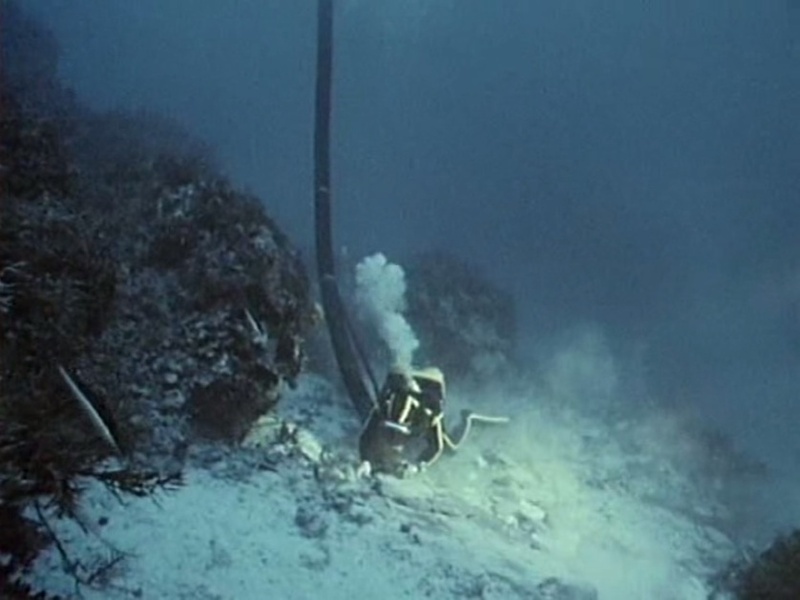 Sponge divers discovered the Antikythera wreck in 1900. In the following year they raised bronze and marble sculptures and parts of sculptures that amazed the art world and scientists then, and ever since. 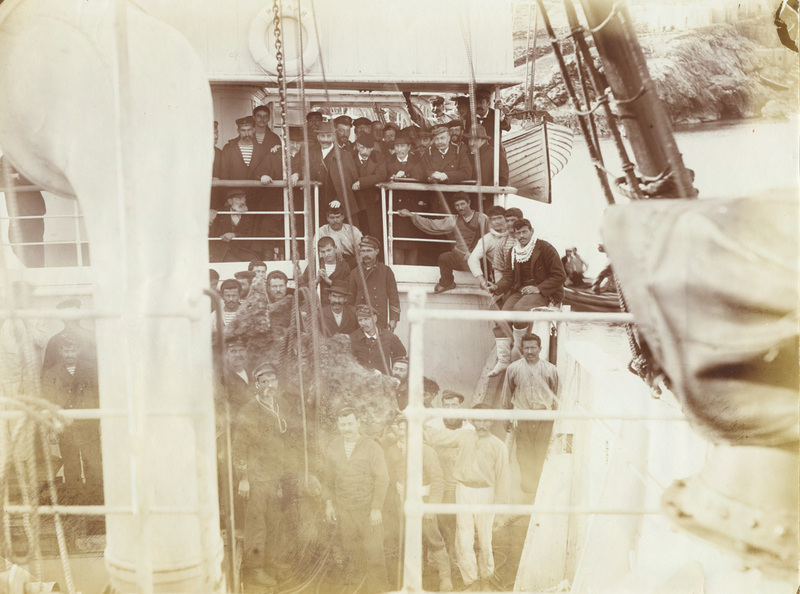 In 1900 the Greek sponge divers were working in hardhat rigs that allowed them only minutes of bottom time in which to rig marble horses and bronze statues for recovery. One died of the bends (nitrogen gas bubbles in the blood) and two were paralyzed. The next few weeks over the wreck safety for the archaeologists will be a major factor. The dive teams will consist of a ‘technical diver’ well versed in the new diving technologies to be used, and an archaeologist. Both will be diving on closed circuit mixed gas systems that will allow them to spend as long as 90 minutes on the bottom. Wizard’ Doc Edgerton. 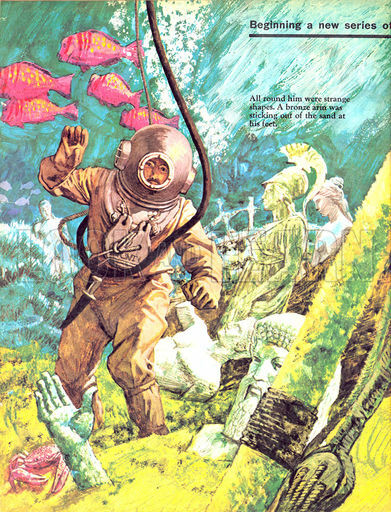 Cousteau returned in 1976 to excavate with an airlift and recovered some small bronzes. Delicacy and caution will be essential considering the nature of what the sands of Antikythera may reveal. 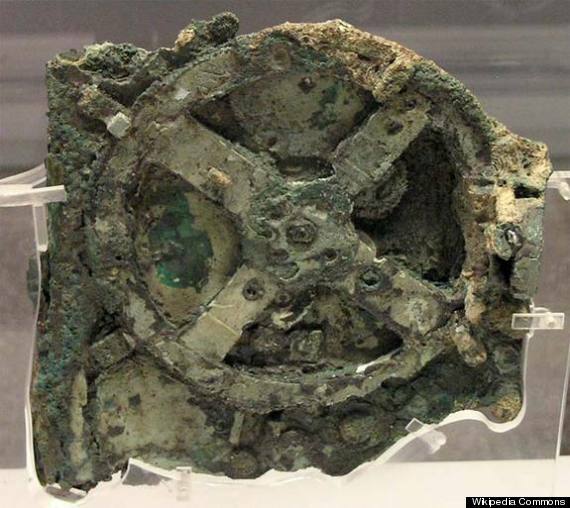 One object from the 1900 dive that has garnered more attention than any other is the ‘Antikythera mechanism,” a fused clump of finely crafted gears that is thought to be a highly sophisticated navigational computer. It is not surprising that the wreck would have such a sophisticated device aboard. The massive craft appears to have been loaded with amazing art treasures from Greece. 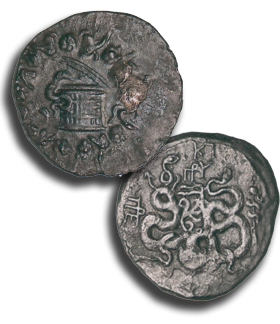 Coins found on the ship by Cousteau date it to 70-67 B.C. They were produced by the Roman mint at Pergamum. This was in the same general timeframe that Roman General Lucius Cornelius Sulla Felix mounted an expedition into Greece and Asia Minor in 87 BC. 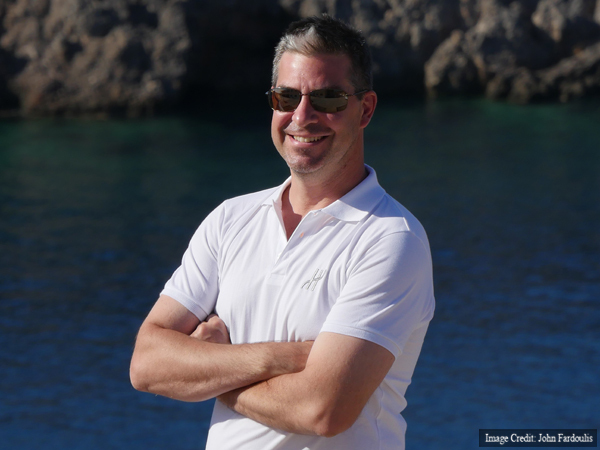 This was close to a decade before the sinking of the Antikythera wreck, according to the coin dating. It was long thought that the ship might have been bringing treasures back to Rome for Sulla. 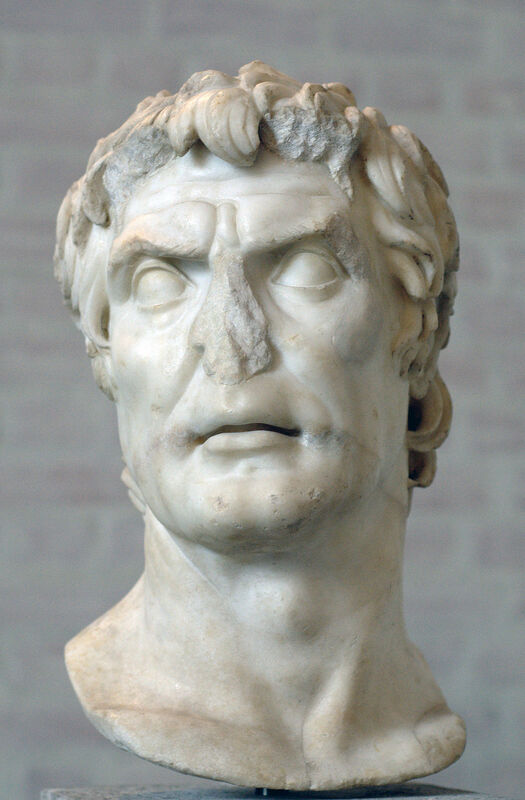 Roman General Sulla looted Greece and Asia Minor – but the wreck post dates his campaign by some ten years Credit: Wikipedia. “The Philosopher” one of the bronze heads recovered in 1900. Image courtesy of the National Archaeological Museum, Athens (K. Xenikakis). Copyright Hellenic Ministry of Culture and Sports/Archaeological Receipts Fund. Last year divers found a seven foot long bronze spear not associated with any of the recovered bronzes. 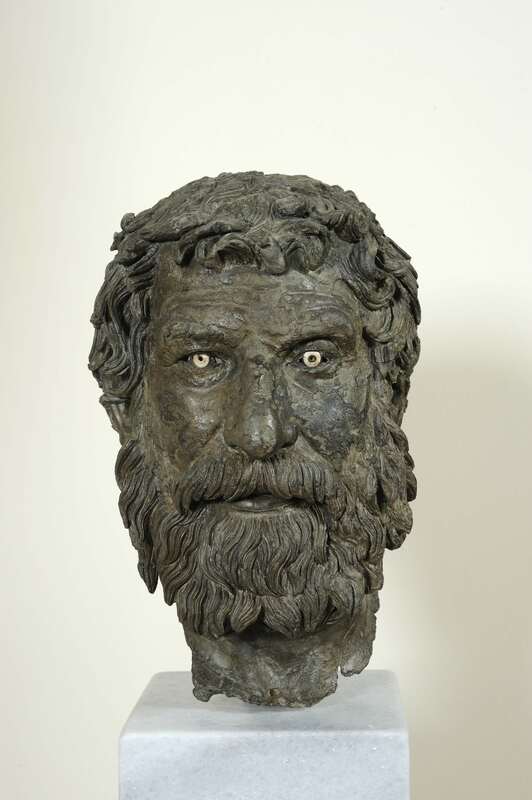 This leads Foley to believe that other major bronzes may still be found. Earlier recoveries also included separated heads, arms and feet that may also be from buried bronzes. Certainly the ship was important, but there is still doubt as to who ordered it to be packed with such fabulous treasures. “We know some of Sulla’s ship’s sank north of Antikythera – but we do not think this is one of his ships at this time, “ said Foley. Foley will be very much hands on during the project. He will be one of the divers. His dive buddy is Gemma Smith, one of the technical divers. 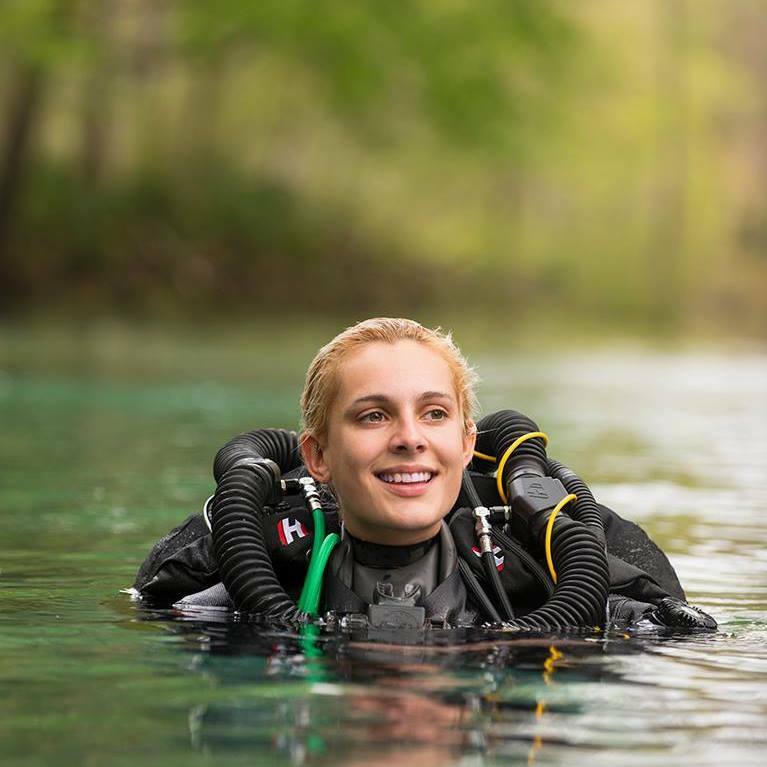 For Smith the dive will be especially satisfying, she is in the midst of a long career as a technical or scientific diver – despite being told early in her career that she would never qualify in this demanding field. It would be interesting to note what might have been happening to have caused such a wonderful hoard of items to need to be moved. A war ending and the captured goods moved. A new place of study being set up and items transported to enrich such a study area for a king. Why I ask was it being transported. Don’t You just love looking into the past and trying to understand how much more advanced they really were. See today’s blog post. Prep is all finished and diving starts tomorrow!